With a full system clean and our antimicrobial treatment, you’ll have nothing to sneeze about. 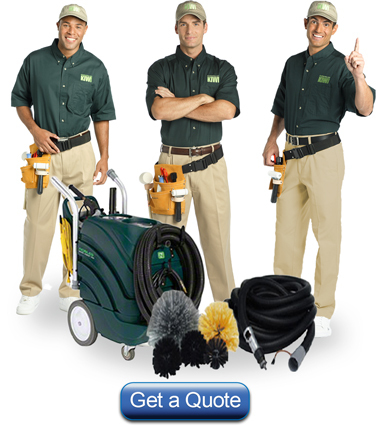 Less allergens, no mold and 33 years of experience of high standards are what you get with our team of experts. We have a 1005 satisfaction guarantee for 2 full years that our antimicrobial treatment will prevent the re-growth of mold and mildew or will come back and reapply it. That’s peace of mind from an IICRC certified company. 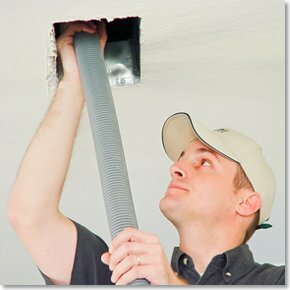 Why You Should Get Your Air Ducts Cleaned Routinely? After years of running your central heating and air conditioning system, the air ducts collect a lot of dust, hair, mildew, and soot among other contaminants and dirt. Eventually, these irritating contaminants make their way into the crevices of your air-duct system and cause problems for anyone who suffers from allergies. From there, they circulate through the air in addition to making their way into the fibers of carpets, furniture, and other upholstery. Dust build up in the ducts, filter and all air handling components of the air conditioning unit. This effects the indoor air quality your family breaths and can potentially cause irritation to those with respiratory issues and affects energy efficiency. A good way to reduce the dust accumulation and circulation can be as simple as routinely changing the filters but, for best results, have a professional air duct cleaning company clean your AC units and do duct work. Cleaning the HVAC system is a critical component of having a cleaner and heather environment in your home. KIWI also has the best duct cleaning process in the industry. 1. Cleaner, healthier, higher quality air. 2. Drastically reduce the number of allergens and mold floating around in your home so that you can breathe easier. Our air duct cleaning services will also restore the air quality of any home that has been subject to fire or water damage. At KIWI, we have professional air duct cleaning equipment and years of experience helping homeowners live in clean and healthy environment. Very professional, carpet appears very clean and technician explained the need for further cleaning in ducts and furnace area, added to cost but he was able to demonstrate the need for this additional process. I am Delighted, the tech did an excellent job. Took his time and put forth great effort. We are hopeful that the duct cleaning resolves much of the dust concerns. If you’re looking to give your home a fresh, renewed feel and love the air that you and your family breathe, call KIWI to schedule your air duct cleaning appointment today. You’ll be able to rest assured knowing that not only is the air your family breathing healthier air, but that we back up our air duct cleaning services with a 2-year warranty. So, call KIWI, recieve the best in customer service, and breathe easy.